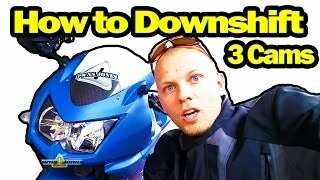 On a Kawasaki Ninja 250 I show you how to Downshift and throttle blip. 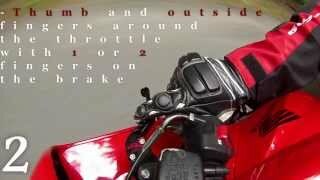 To downshift on a motorbike you have to pull the clutch in, blip the throttle, kick down a gear, let clutch out. 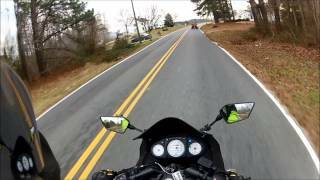 I can perfectly downshift while blipping throttle, the problem is im not comfortable holding the brakes while blipping. Joel Laurel I have the same issue alot going on. 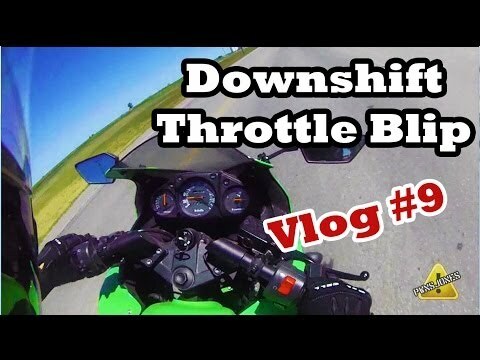 so does blipping the throttle happen together at the same time with kicking down a gear? 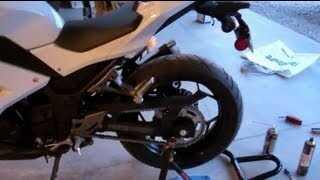 and the dump the clutch out? 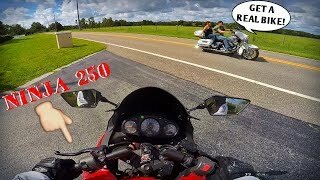 would it probably because the RPM doesnt match with the wheel speed and causes the jerky move? 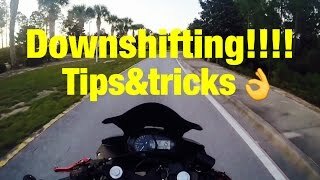 Thanks for the help I didn't know about the first gear being to hard to rev match and now i'm getting better at downshifts. She was mad cause he didn't change the clitty litter before he left. Thanks man. I've watched a few of these trying to get the hang of this, and you're the only one who's explained why it hasn't worked when I've tried to go to down to 1st. Got yourself another subscriber. 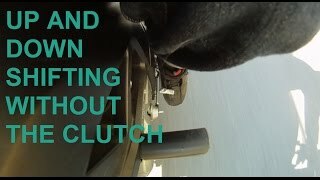 Is it Clutch>Throttle>DownShift>Clutch out OR Clutch>Downshift>Throttle>Clutch out? +RustyFiReWorKs Okay. 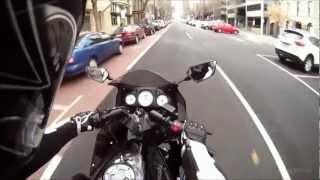 so when your in first right, you shift up through the gears and slowly let out the clutch. 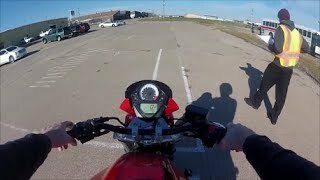 When your downshifting and blipping the throttle and rev matching all you going to do is, Pull in the clutch first and blip the throttle and down a gear and let the clutch out quick. 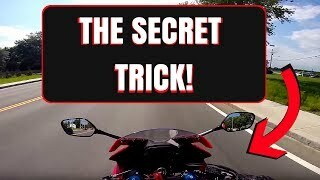 If you don't have a hang of it, just try in third gear to second and you probably master it! +PwnsJones Would you release the clutch slowly like your starting off? Or quickly release it? 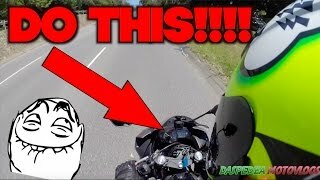 Do you have to engage and release the clutch everytime you downshift through gears? For example, you want to downshift from 6 to 4 can you hold the clutch in the whole time and go down to 4, or you should pull it in and release it through every gear while rev matching? 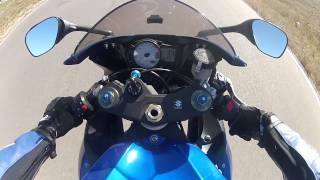 +Jorge Borbolla Clutch>Throttle>Down Shift>Clutch Out. Can be hard to get the hang of. 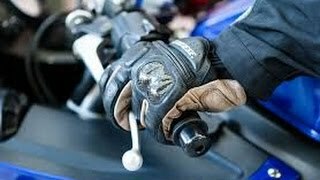 Shorty Levers in the future? Hey! I just made my first vlog! Let me know what you think! Awesome, thanks for making this vid! Interesting you would ask that. I once stopped to offer some guy,that was on the side of the road, the use of my cell phone (to call a ride, or something). He said he was fine, but asked if I could give him a ride. I said no, then he said "Oh, so you don't have an extra helmet?" I was like, really? Does it look like I have an extra helmet to you? your wife looked totally underwhelmed at the end. Also, I don't think I would pick up a hitchhiker on my bike. Especially not a guy. I'm just not in to having a guys rod in my back, or anywhere else for that matter. 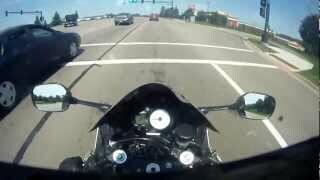 I'm looking for hitchhikers after watching this. lol looked like you were gonna be told off. To extend what you did there maybe try a rapid slowdown and downshifting video. 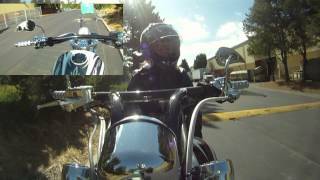 Highway 18 Ninja 250 Joy Ride. 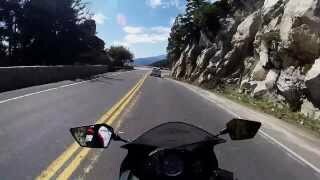 San Bernardino Mountains.